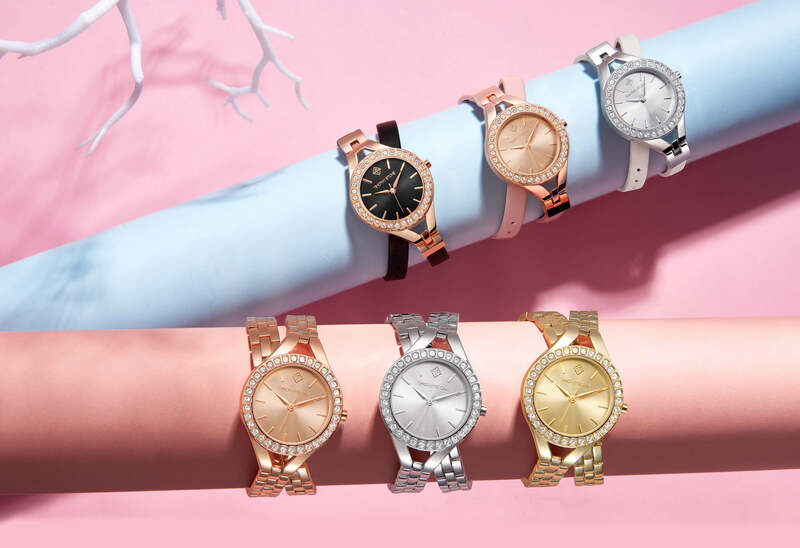 Feminine and fun, designed in a timeless style this range of watches has a lighter touch with beautiful double curving lines and vegan leather straps that fasten elegantly around your wrist. Available in bright white silver, warm yellow gold and gorgeous rose gold effect with matching flexible metal bracelets. The Joliet can also be ordered with the watch case crafted in bright white silver with double length wrap around white or Pinot blush vegan leather strap.